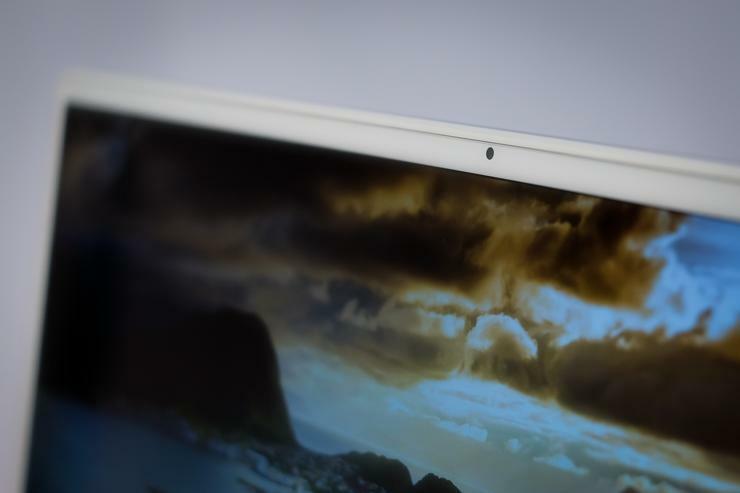 We’ve always loved the Dell XPS 13, except for one thing: the low-slung, nosehair-catching camera. So sing hallelujah: With the XPS 13 9380 announced Tuesday morning at CES, the camera’s finally at the top where it belongs. That alone is big news, but there are other welcome improvements with this generation, from display and color choices to thermals. Pricing for the new generation starts at $900. A few models will be available starting Tuesday, while other SKUs will arrive later in January. We’ll go over the highlights, including the specs. The reason the Dell XPS 13 had to place the camera below the display is because of the laptop’s superthin InfinityEdge bezels. There simply wasn’t room for the camera within the sliver of structure above the screen. 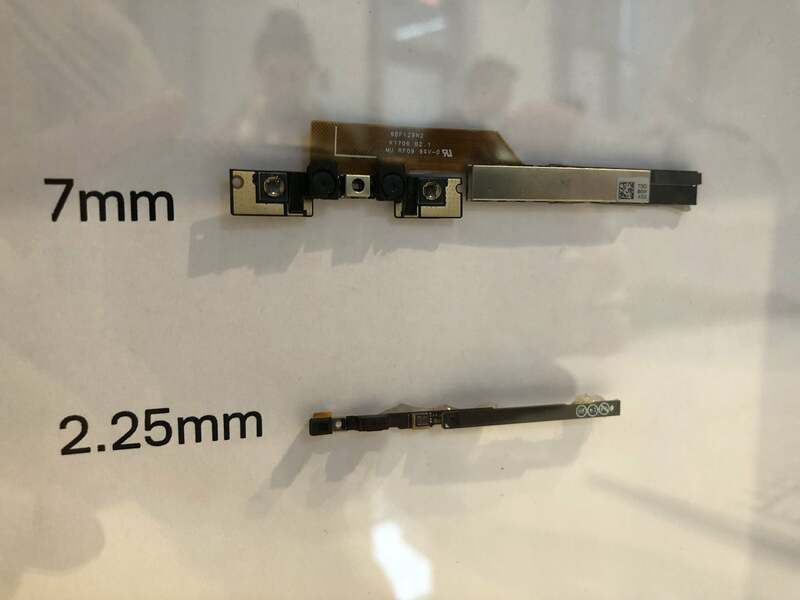 Dell shrank the XPS 13’s camera from a 7mm module below the display, where no one wants it, to a 2.25mm module that squeezed on top, where everyone wants it. The new camera cuts the Gordian knot by turning into a sliver itself. While the old camera was 7mm tall, the new one is a mere 2.25mm. Dell further accommodated the camera by breaking the controller board into multiple pieces; gluing the teeny lens into place and using a laser to shave off the extra glue; and working some background software magic to compensate for the limitations of such a small lens opening. Dell also worked on the thermals of the XPS 13, because thinner laptops have a harder time staying cool. The XPS 13 has a conductive GORE Thermal Insulation that helps move heat out of the system faster. A Dell spokesperson said we should see the performance benefit on longer tasks like repeated video encodes, which use the entire CPU. 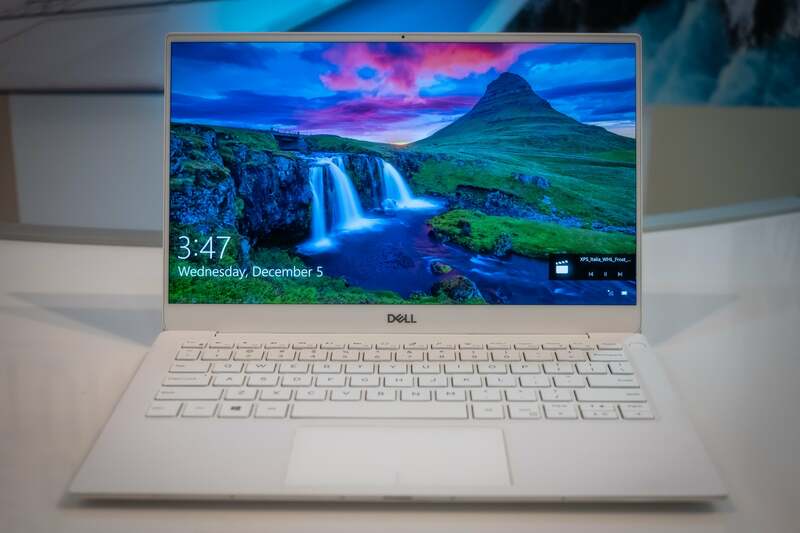 The Dell XPS 13 will come in a Frost White color that’s brighter than last year’s version. Another improvement is subtle, but you’ll appreciate it every time you use the XPS 13. Superslim laptops can be difficult to open, requiring you to pry apart the thin sides. This is because the hinges have to be strong enough to endure years of use and hold the laptop together. Dell built magnets into the laptop’s side edges so it could stay closed without the hinge’s help. Then Dell adjusted the movement of the XPS 13’s hinge so it’s looser at first, for ease of opening, then tighter as you set the display angle. 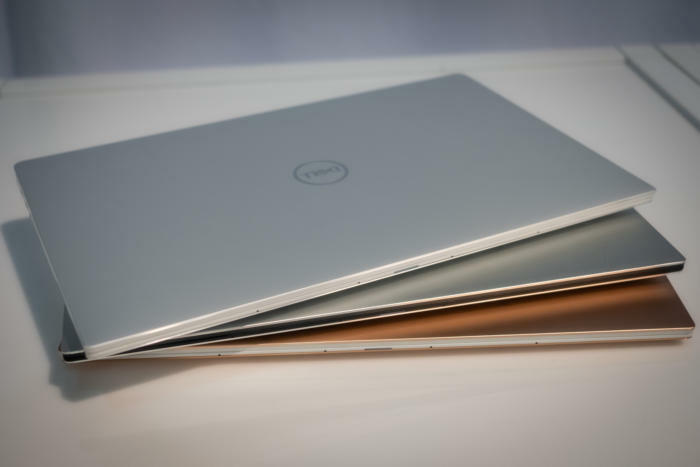 The Dell XPS 13 comes in three colors: white, silver, and rose gold. Expected battery life: The 52Whr battery is projected by Dell to last up to 21 hours. Don’t expect that top number from the version with the 4K panel. Dell’s XPS 13 was already a great laptop—the last version remains our favorite thin-and-light notebook. The improvements in Model 9380 make it even greater. We have a review unit in-house and hope to tell you more about it in the near future.